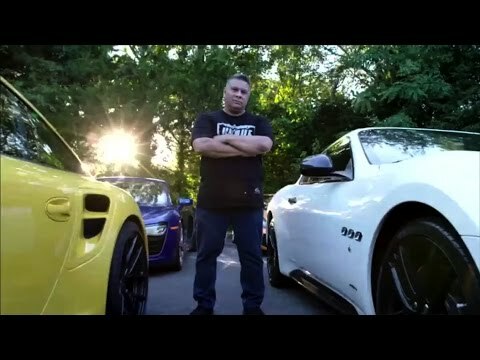 At Long Island, N.Y. based Will Castro's Designs, proprietor Will Castro and his Team Unique crew create exceptional custom vehicles for the most popular tastemakers of movies, music, television and sports. He's made four wheeled dreams reality for the likes of N.B.A. superstar Lebron James, singer and songwriter Jason Derulo, N.F.L. Pro Bowl wide receiver Odell Beckham, Jr., NASCAR champion Jeff Gordon, actor and comedian John Leguizamo, P. Diddy, N.Y. Yankees pitcher CC Sabathia, actress Pamela Anderson and more. In the hit series UNIQUE RIDES, Velocity takes viewers inside Castro's extraordinary business, creative and production process as he and his team deliver the automotive dreams of the world's most demanding clientele. Unique Rides Season 2 was released on Velocity 891d ago in the US. Notify me when Unique Rides Season 2 is available.